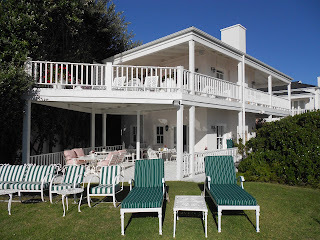 We stayed at the Southern Cross Beach House for the two nights when we visited Plettenberg Bay. 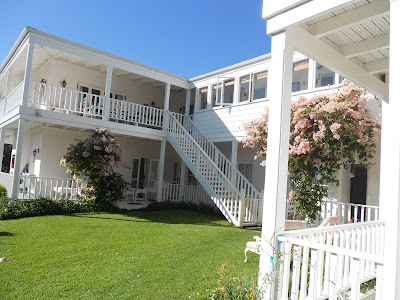 The guesthouse is in a Victorian house next to the beach. The owners live on the top floor and the guest rooms are on the ground floor. 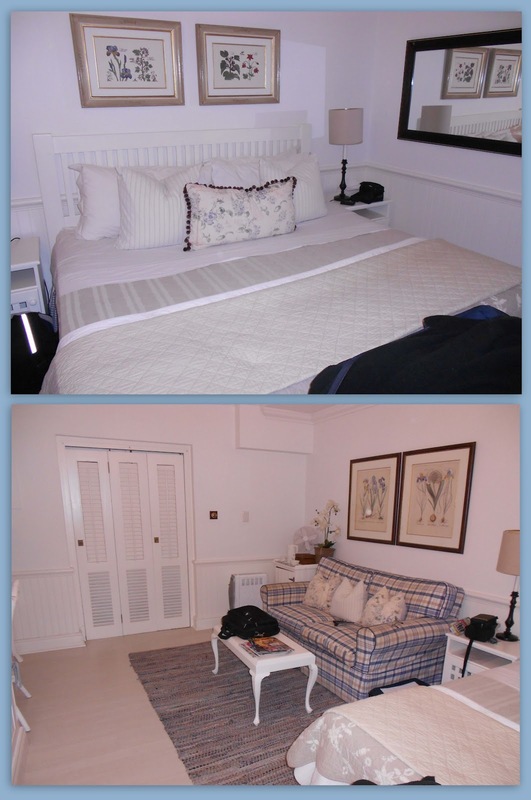 I was a bit disappointed because the guest rooms do not have a view of the ocean. We booked the big room and it was lovely. We had a king size bed, sitting area with desk and a beautiful bathroom. The bathroom was my favorite part with it’s checkered floor and claw foot bath. But I forgot to take a picture of it. Usually I don’t like to take a bath in strange places but I could not resist. All the windows and doors of the room have wooden blinds that can be closed for privacy. 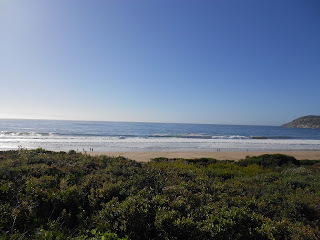 Breakfast was served on the verandah with a beautiful view of the beach. We could choose from cereals, fruit, yogurt and warm breakfast with eggs, bacon, sausage, mushrooms and toast served with fresh juice, coffee or tea. We enjoyed it a lot. 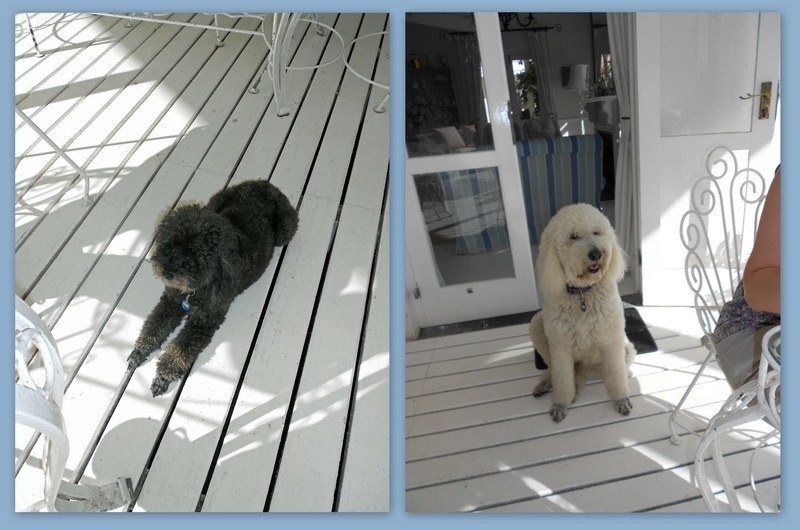 The owners have two dogs (Toby and Baloo) and we loved having them around. There is a nice wooden walkway from the guesthouse to the beach. 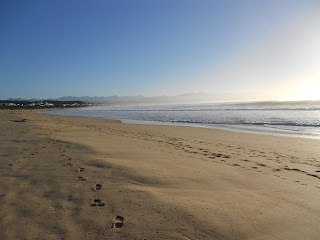 We went for a great early morning walk next to the beach. The guesthouse is a bit tricky to find but luckily we had a GPS to guide us there. It is not near to the town center and you have to drive to shops and restaurants. The staff is very friendly and can recommend and book restaurants. We had a great stay and hopefully will be back soon. The beach house was beautiful You will definitely find comfort in this house because the whole place looks magnificent. I find the veranda fascinating too. You'll have fun whether you choose to stay on the upper or lower part of the area. You know, one of my ultimate goals in life is to purchase a beach house that is as grand as this one. 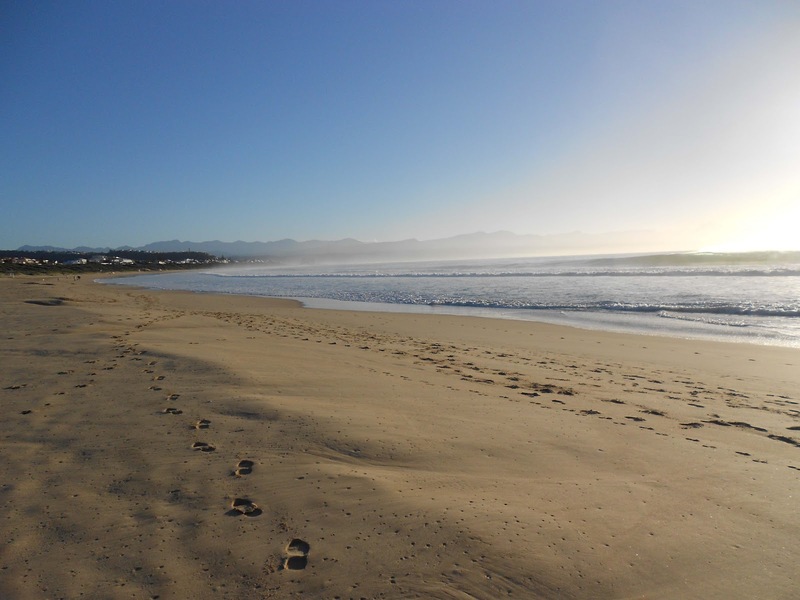 I am a accountant and live in Mossel Bay in the Western Cape of South Africa. 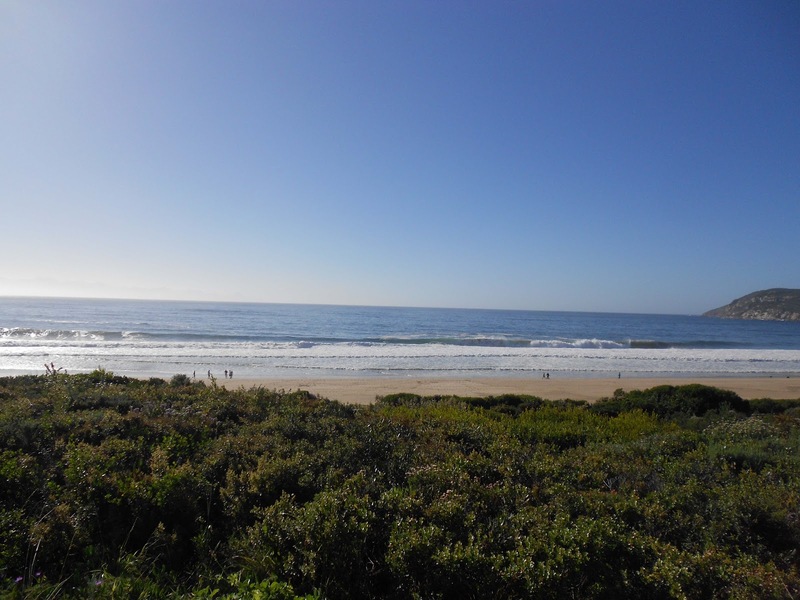 This blog is about traveling in South Africa. Some of our favourite places to visit is old churches and National Heritage Sites. 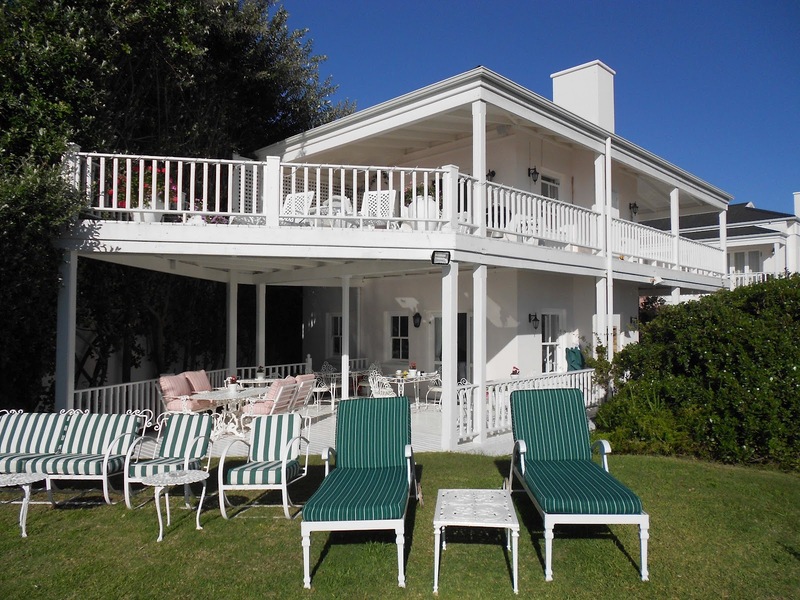 All the photographs and articles on this site are the property of Lu-Gerda de Klerk or Hardus de Klerk, unless otherwise stated, and may not be used, copied, transmitted, or stored without our permission. © Lu-Gerda’s Travels lugerda@gmail.com. Simple theme. Powered by Blogger.